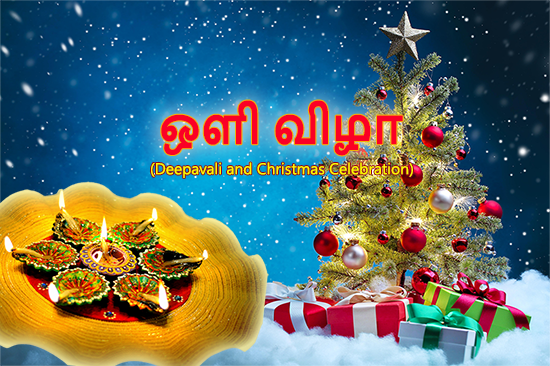 MISSION: Promote Cultural and Religious activities among Tamil Ethnic Group Living in Manitoba. 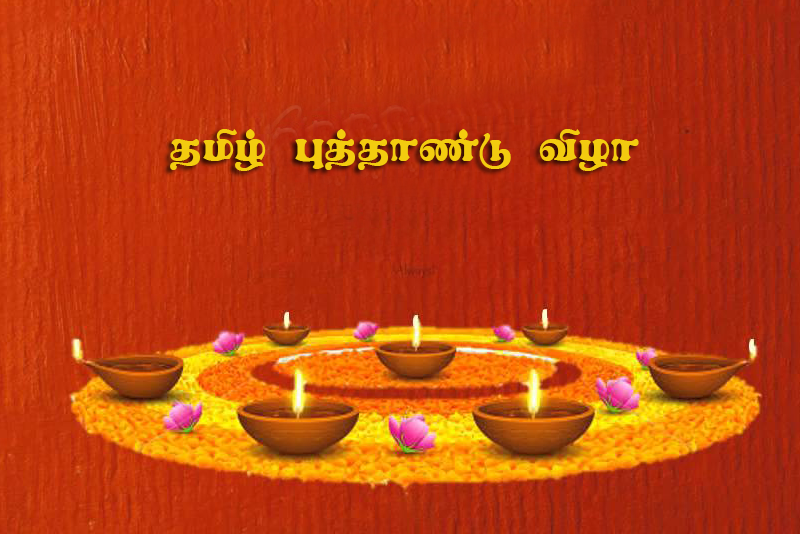 o Promote Tamil cultural activities such as music, dance, drama, etc. o Promote the upgrading of linguistic, technical, administrative and other skills. 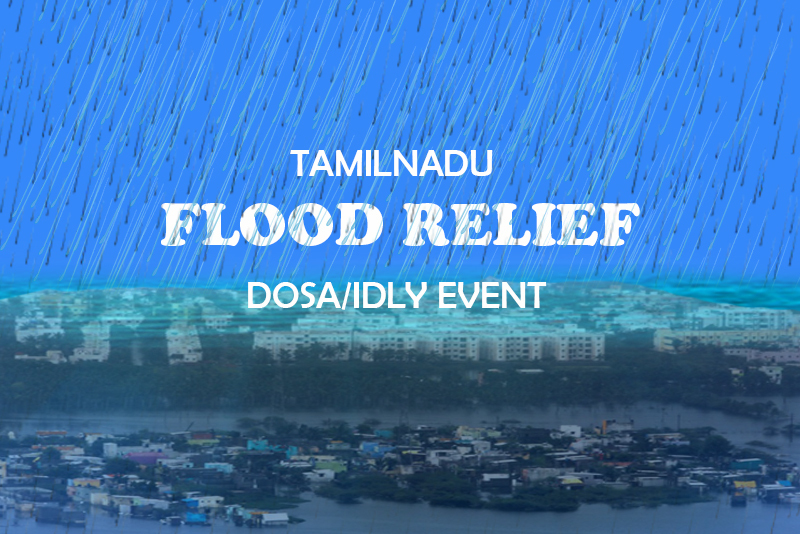 o Promote activities in helping refugees of Tamil origin in any part of the world. 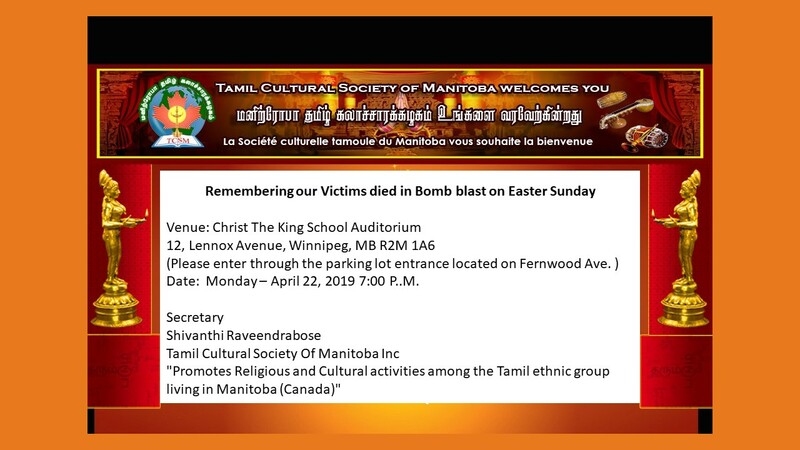 Tamil Cultural Society of Manitoba invites you to AGM 2019. If anyone requires a ride to get to the event, please let us know when you RSVP. 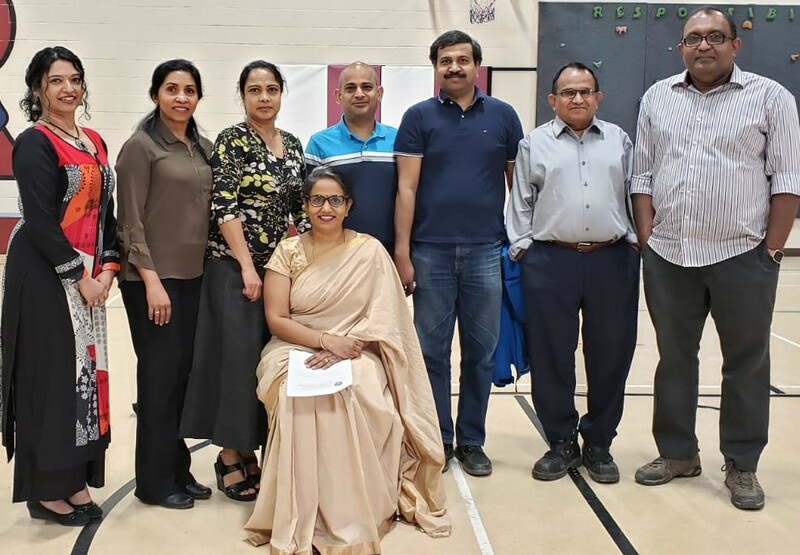 Tamil Cultural Soceity of Manitoba plays a vital role in the cultural and social life of tamil ethinic group living in Manitoba. Join other people from tamil origin	in celebrating and commemorating our history, diversity and achievements, and discover what has shaped our culture that is driven by Values. TCSM membership is open to all Tamils living in Manitoba, others interested in Tamil Culture, and of 18 years of age. Further instructions can be found in the membership form below. 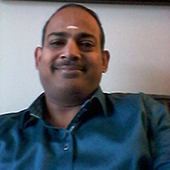 The mission of Winnipeg Tamil School, part of TCSM, is to provide quality tamil education to students in a safe and orderly environment, to prepare them to read, write and speak the Tamil language by following a best in class curriculum, to transform the students in to effective communicators in spoken and literary Tamil and to create future leaders and torch bearers of Tamil language.